751,555 children served so far. Help us achieve our goal of reaching 1,000,000 children! GET INVOLVED! Now is the time to get your lodge involved! Masonic Lodge members are a key factor in the program’s continued success. 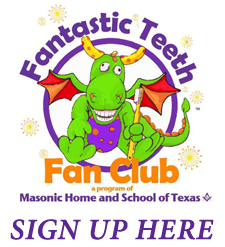 The Fantastic Teeth Fan Club program was created to help provide dental hygiene education and tools to Texas first graders and their parents in an effort to help stop the epidemic of oral health problems in our state. Tooth decay is the most chronic illness among school-age children. Almost 6 out of 10 Texas children have a history of dental decay and over a quarter have untreated decay. 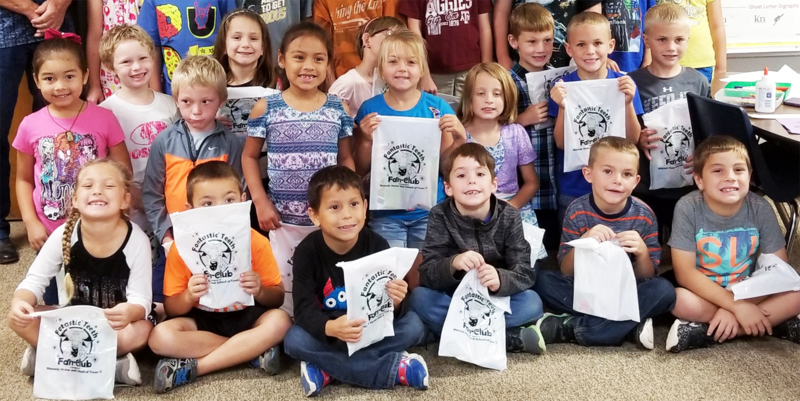 Through the Fantastic Teeth Fan Club program, each Masonic Lodge participating receives 300 free tooth decay prevention kits each year to provide to first graders in their community. Lodge members assemble the kits and deliver them to participating schools. MHS coordinates with local schools and sends press releases about the project to local news organizations. Please give us a call at 1.877.203.9111 or email us if your lodge is interested in participating in Fantastic Teeth Fan Club.